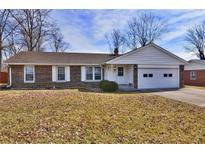 Below you can view all the homes for sale in the Old Farm subdivision located in Danville Indiana. Listings in Old Farm are updated daily from data we receive from the Indianapolis multiple listing service. To learn more about any of these homes or to receive custom notifications when a new property is listed for sale in Old Farm, give us a call at 317-449-2964. New washer and dryer, new garbage disposal, new interior doors, new bifold doors - 2018, New refrigerator 2017 and new furnace (transferrable limited warranty) and new water heater - 2013. 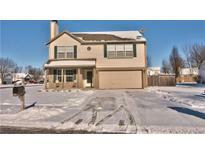 MLS#21629754. M.S. Woods Real Estate, LLC. Large corner lot w/fenced-in backyard in the great neighborhood of Old Farm! MLS#21625810. eXp Realty, LLC. These statistics are updated daily from the Metropolitan Indianapolis Board of REALTORS® Multiple Listing Service. For further analysis or to obtain statistics not shown below please call Highgarden Real Estate at 317-449-2964 and speak with one of our real estate consultants.